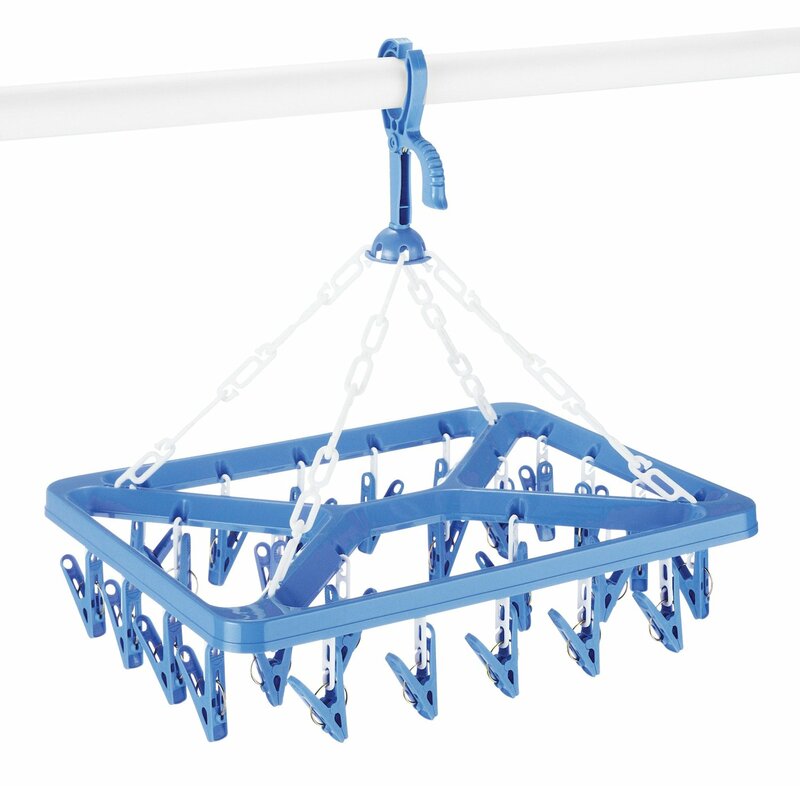 Package Quantity: 1 | Size: 26-Clips A 26 clip drip and dry hanging system hangs on a shower curtain rod,clothesline or garment rack. It is great for dying lingerie, socks, or anydelicate washables. Collapses for easy storage.